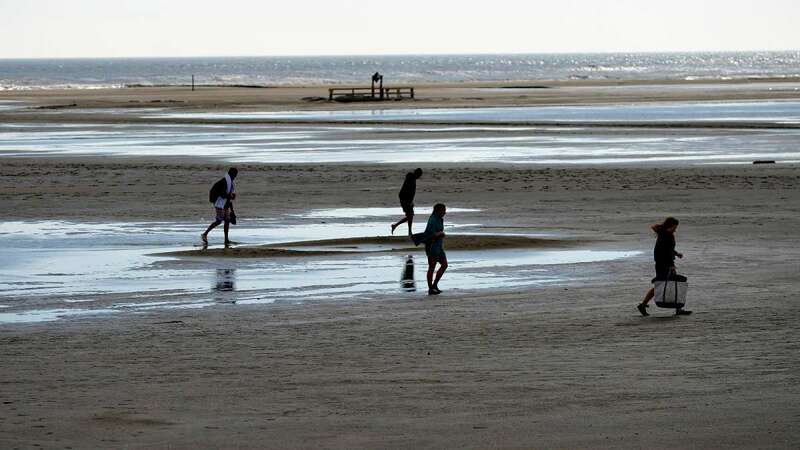 At precisely 1P.M. 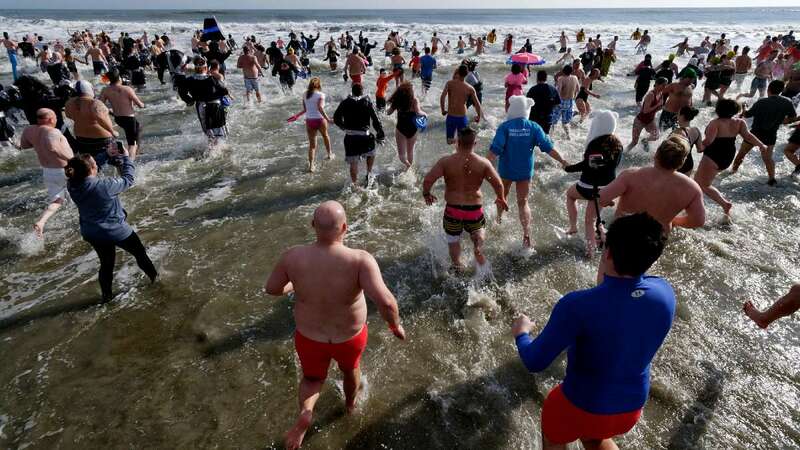 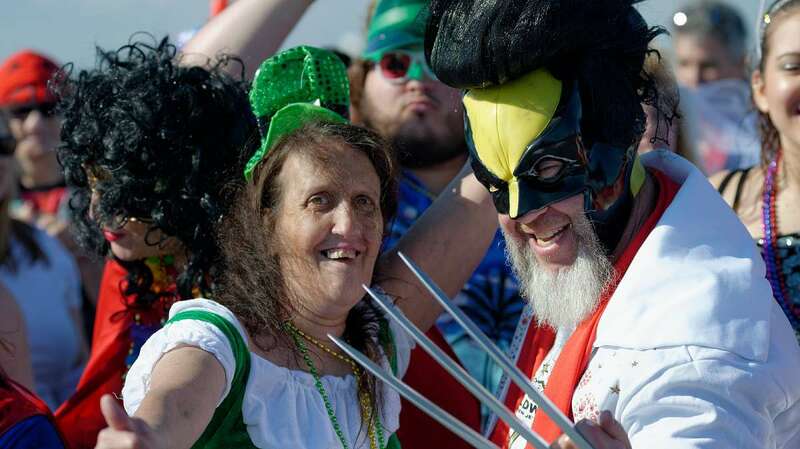 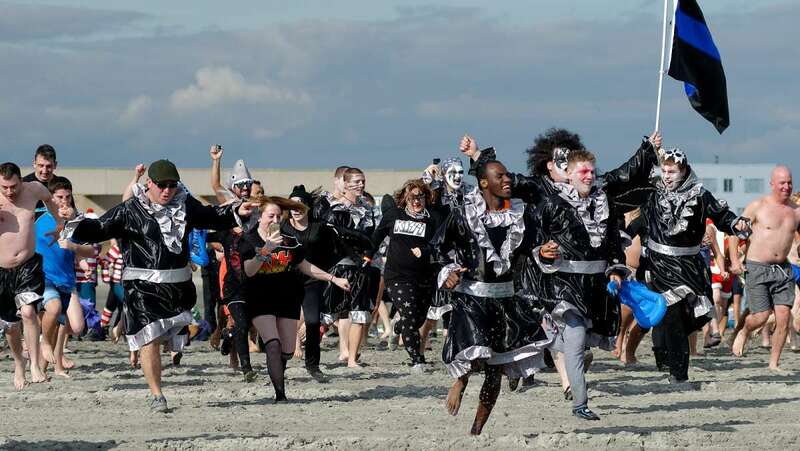 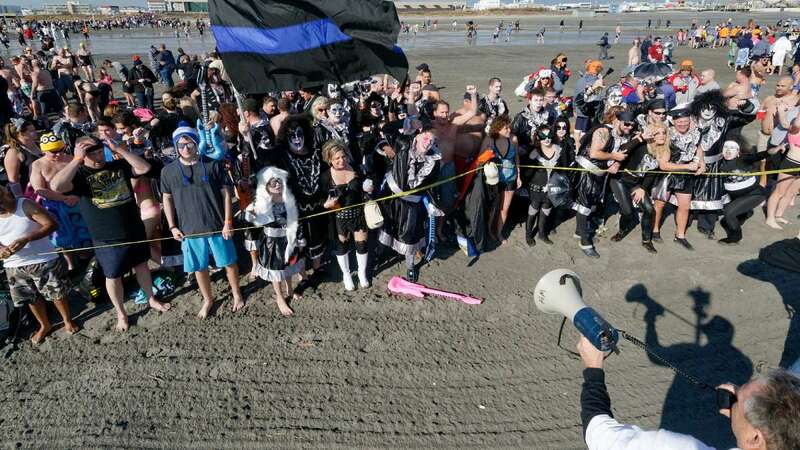 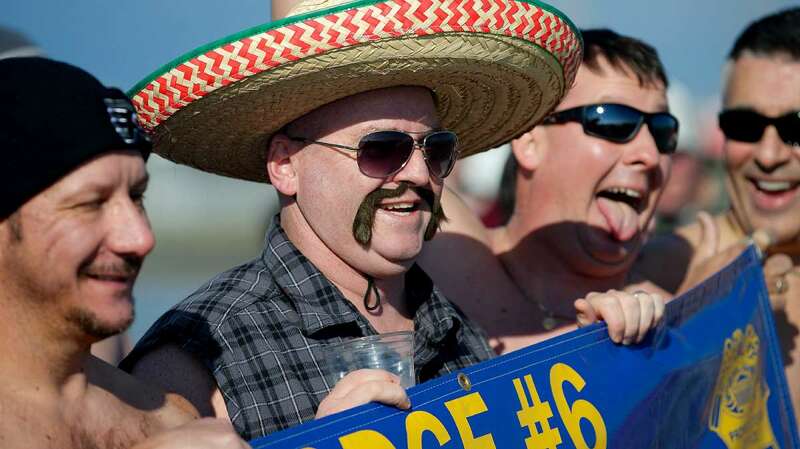 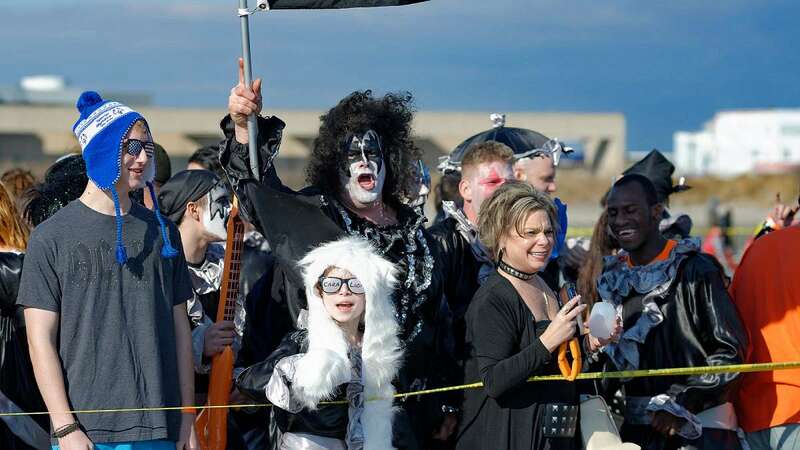 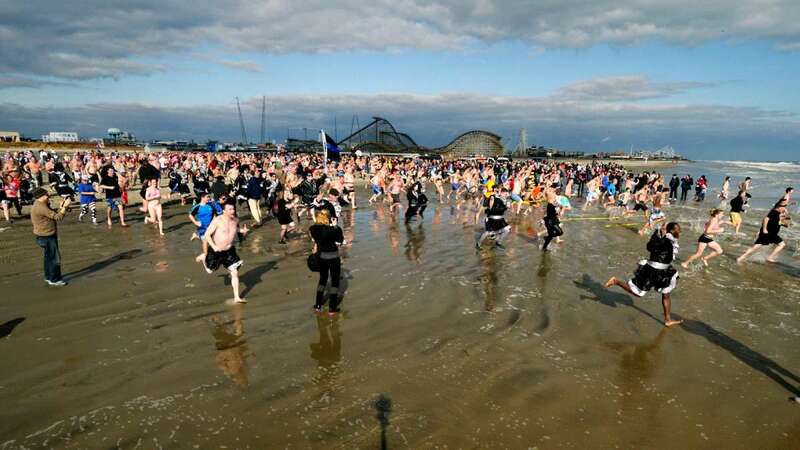 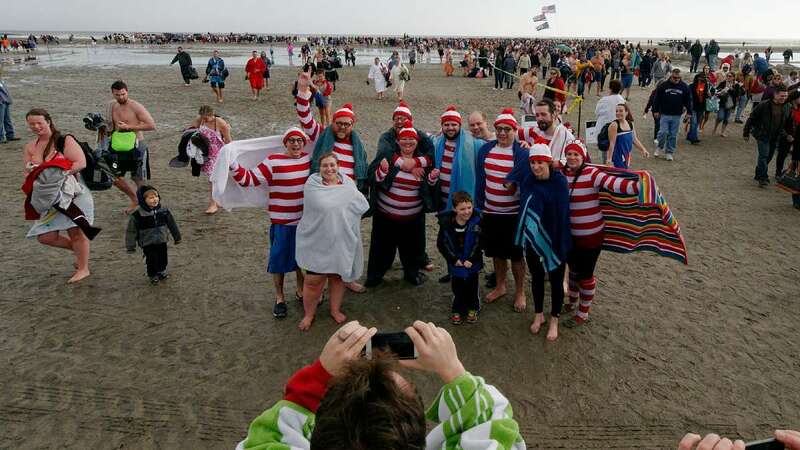 on Saturday costumed plungers, many dressed as Gene Simmons, Wolverine, Elvis, a bunch of Waldos, made a dash into the chilly Atlantic Ocean in Wildwood, NJ. 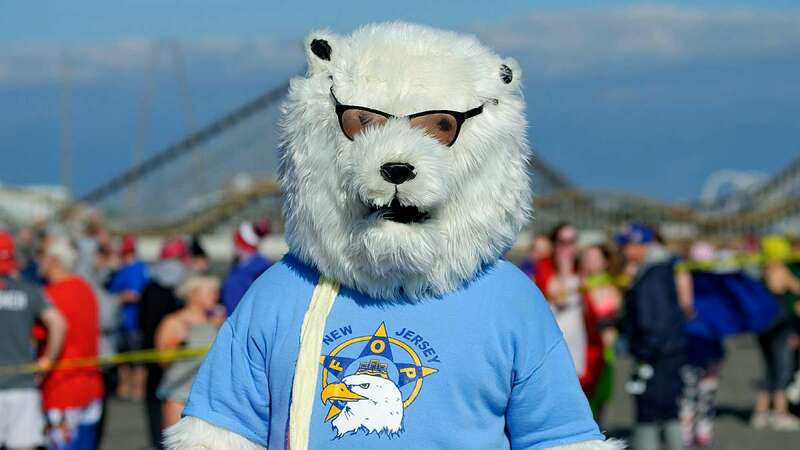 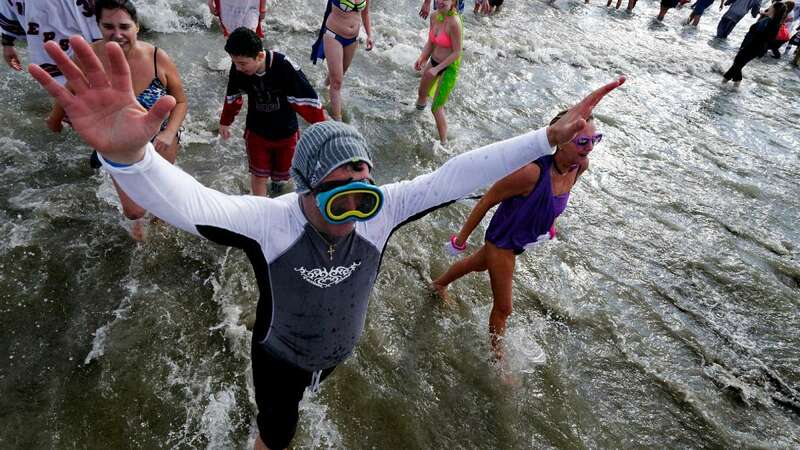 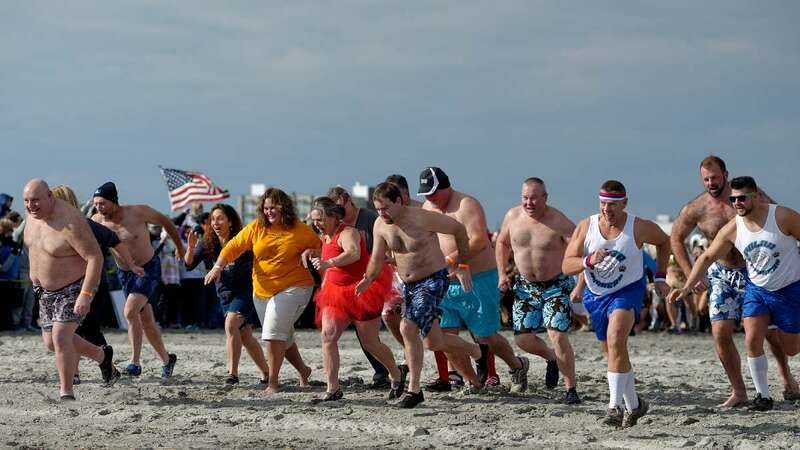 The annual Wildwood Polar Bear Plunge is held as a fundraiser for Special Olympics New Jersey. 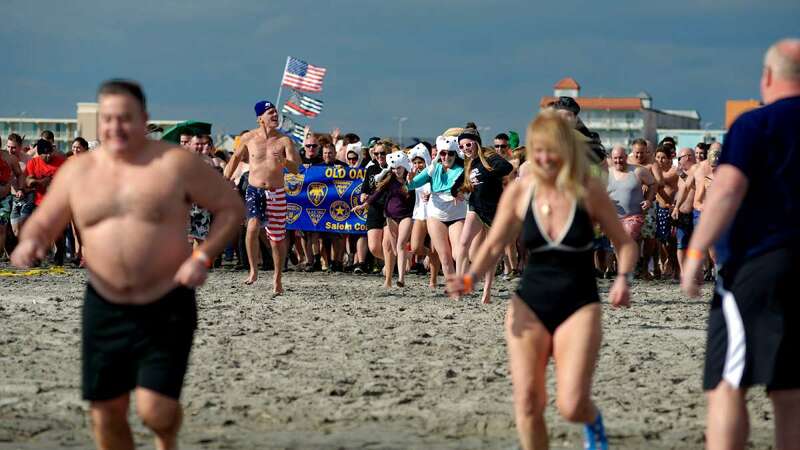 The attendance goes up each year and so does the money being raised, said Lou Hannon, a retired Camden Law Enforcement Officer who co-chairs the event. 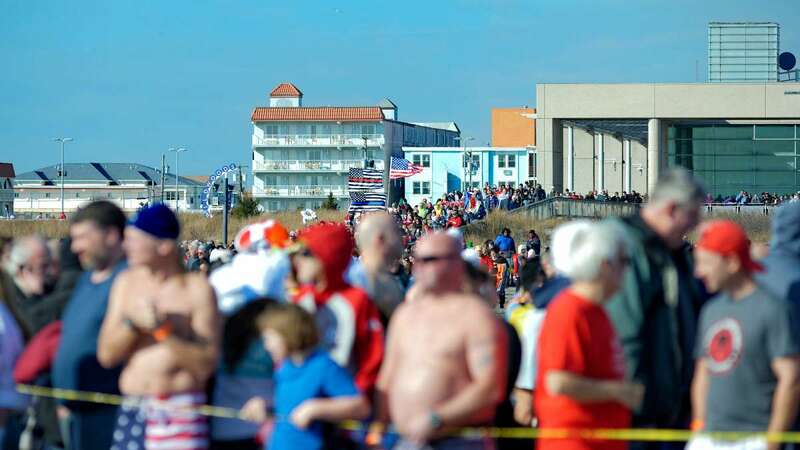 Compared to much lower temperatures in previous years Hannon said Saturday’s high temperature was in the 50’s was outstanding. 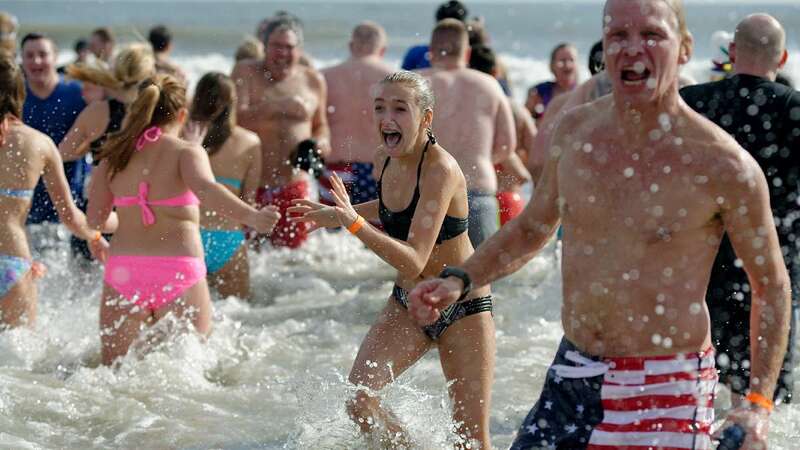 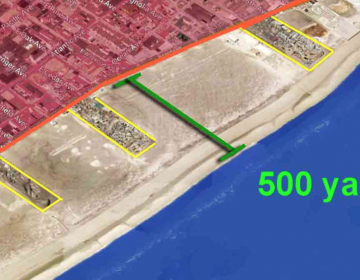 He said the ocean water was probably 48 degrees, which is more than 10 degrees warmer than most years. 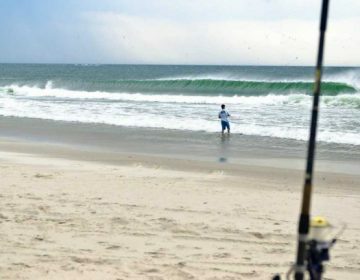 Despite the mild conditions a limit of five minutes in the water was enforced, according to Hannon. 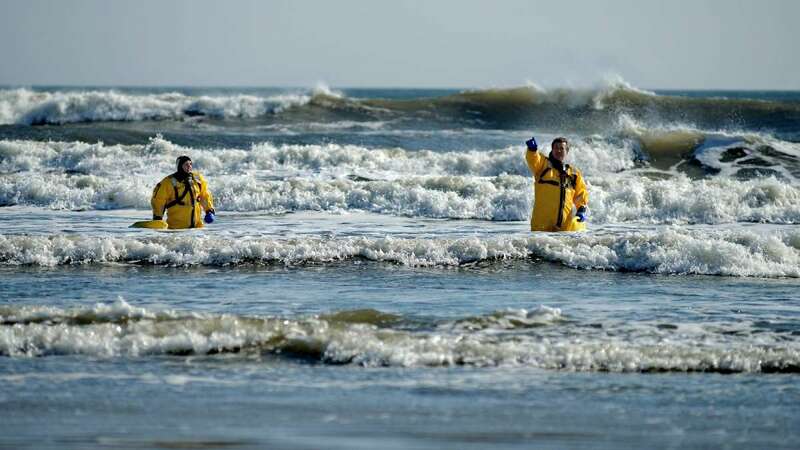 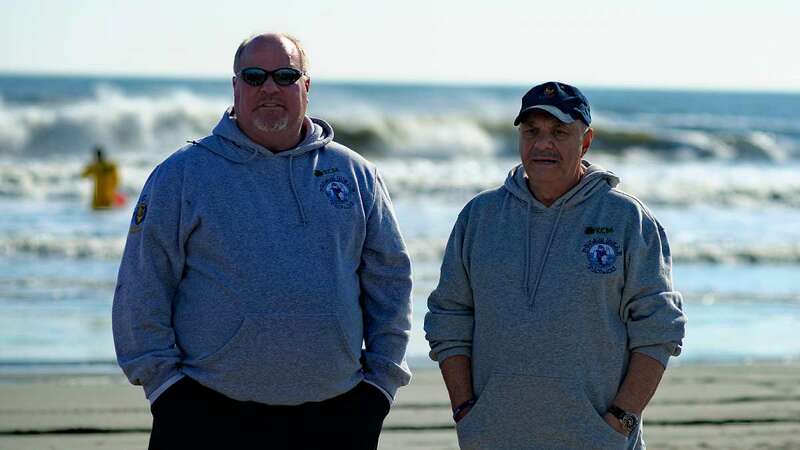 EMS and dive teams of Wildwood and Middle Township Police Departments were on hand while Coast guard and State Police were out on the water in boats. 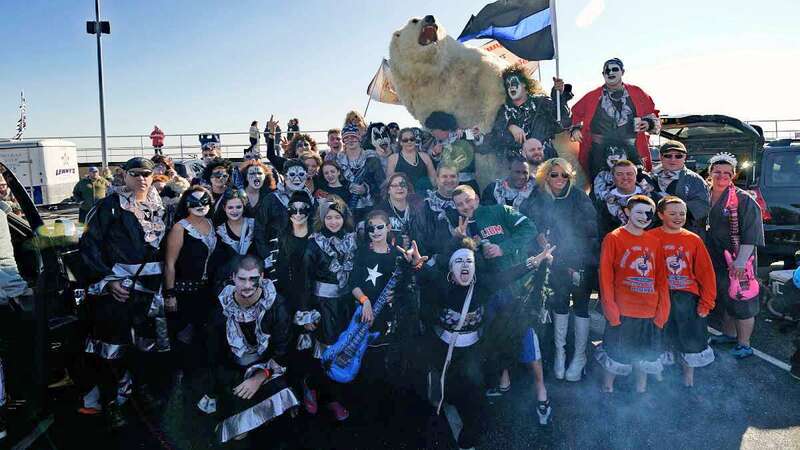 Ahead of the plunge 70 members of the PiggyPark Plungers, dressed up like the members of the rock band KISS, gathered under a full size polar bear to tailgate at the parking lot near the boardwalk. 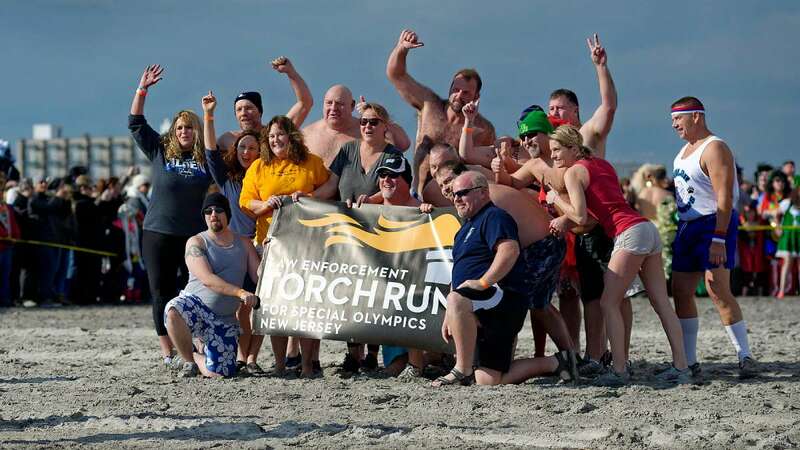 After a dip in the 48 degree ocean, police officers and their families from Medford, Medford Lakes, Lumberton and Marlton found the perfect post-plunge solution. 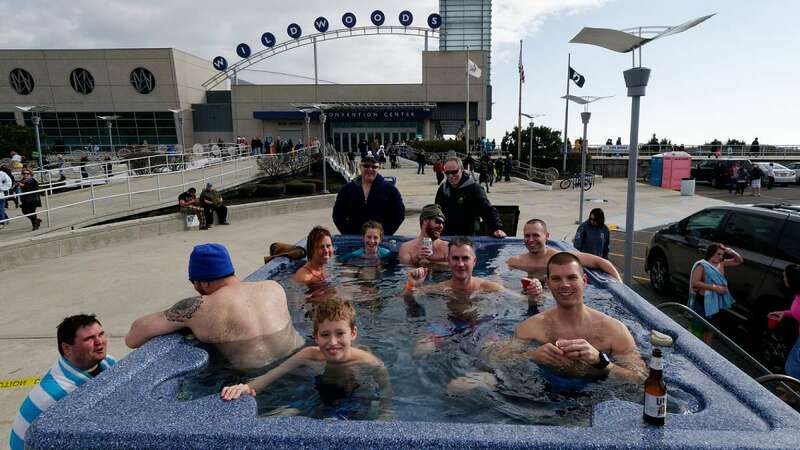 They were seen soaking in a 1,000 gallon, 100 degree, hot tub outside the Wildwood Convention Center. 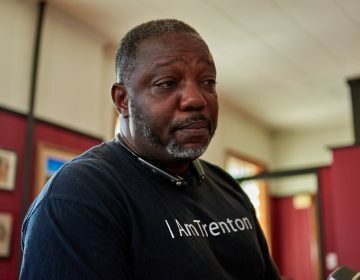 Art All Night, put on every June for 12 years, has been a bright spot in New Jersey’s long-struggling state capitol. 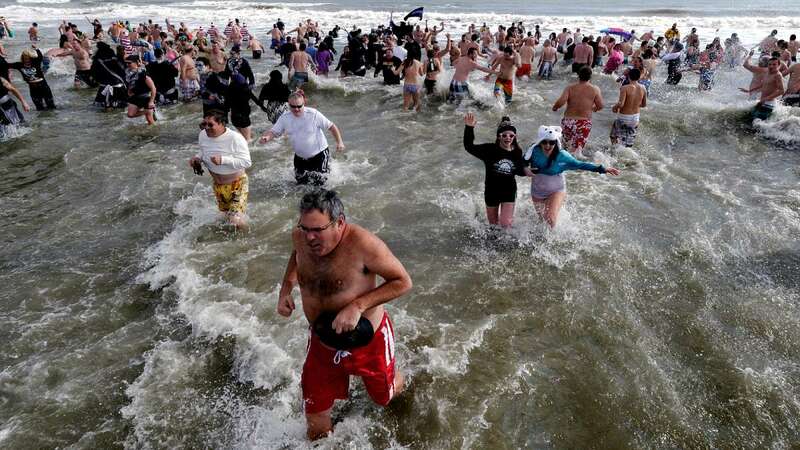 The longstanding Jersey Shore tradition is slated for Sunday.